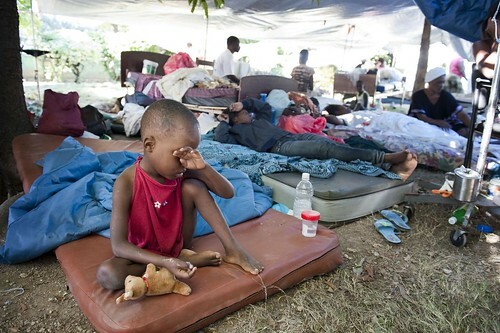 A Life of Sugar and Spice: Help for Haiti!! Lauren over at Celiac Teen has done an amazing thing and compiled an e-cookbook to help raise money for Haiti. The minimum donation is $10 but you can donate as much as you want! Plus the Canadian Government and Lauren's parents are matching some donations. Go check it out and donate today!!!!! Also - all the money that I've made from ads on this blog was donated along with my personal donation. Thank you for visiting and clicking and therefore contributing!! I don't make much from this site, but I'm glad it could go to a good cause. Thank you so much Jen! How kind to donate your revenue =D.